PARIS, 17 NOVEMBER, 2014 — RTW, the market leader in visual audio meters and monitoring devices, will exhibit its new TM3-Primus, the company’s latest Smart Series product, alongside other members of its award-winning TouchMonitor line of audio-monitoring instruments, at SATIS 2014. The TM3-Primus, which offers users a full set of easy-to-read instruments for level and loudness metering in commercial and non-commercial broadcasting and production environments, will take its place next to the TouchMonitor TM7, TM9 and TM3 metering solutions at the booth of RTW’s French distributor, Audiopole (Booth D33). Recently introduced, the RTW TM3-Primus is a multifunctional audio-measurement desktop unit featuring unbalanced RCA-type two-channel analog, digital (SPDIF) and USB interfaces. 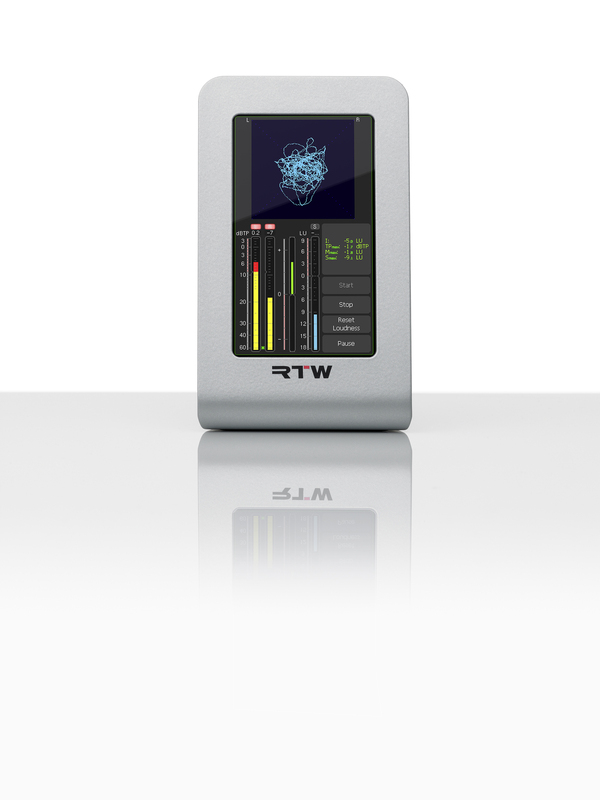 It also features an advanced USB hybrid mode that allows users to visualize a metering point in a digital audio workstation, using a specific RTW plug-in, directly on the new TouchMonitor’s screen. Also, a USB port allows for implementing an innovative USB/plug-in hybrid mode that enables metering to be performed on the DAW so that a user can process and visualize the information instantly. As a compact and low-cost member of the TouchMonitor family, the TM3-Primus is suited for professional use in minor or secondary workflows for broadcasting, video editing and a variety of other environments. It offers a new, quality solution for non-commercial use in small radio environments or podcasting. Like other TouchMonitor models, the TM3-Primus comes with a highly intuitive and user-friendly 4.3-inch touchscreen interface that simplifies system handling even for operators without extensive experience in audio production. The TM3-Primus supports the ITU BS.1770-3/1771-1, ATSC A/85, EBU R128, ARIB, OP-59, AGCOM and CALM audio-loudness standards. It includes level and loudness display with bargraph type or numerical readout plus MagicLRA type. Other instruments included with the meter are PPM, moving coil, correlator, RTA, vectorscope, numerical and chart. All of RTW’s metering solutions conform to the EBU R128 loudness standard, as well as ITU-R BS.1770-3/1771-1, ATSC A/85, ARIB, OP-59, AGCOM, SPL mode and the U.S. Calm Act regulations.